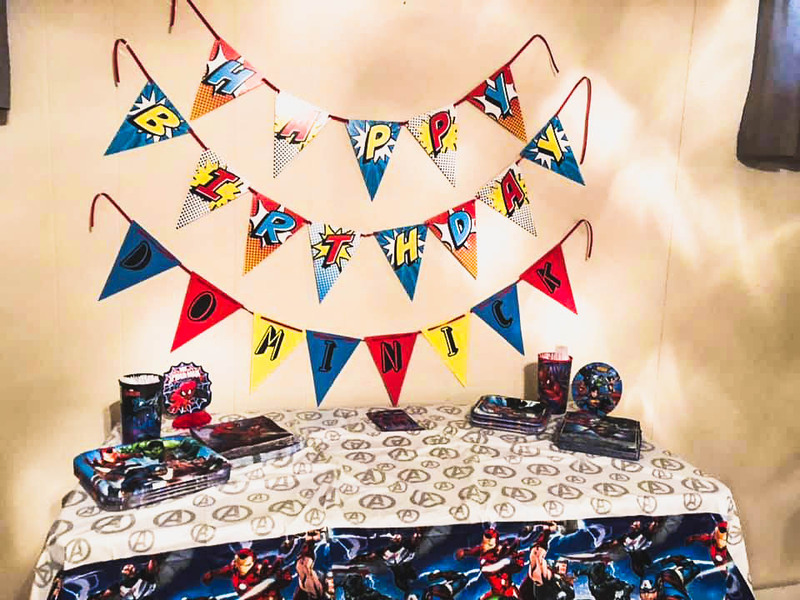 I helped a client with some fun Super Hero Decorations for her son's 4th birthday party and it was so fun to look at all the cool ideas out there! We decided to stick with simple and just a banner, a few decorations and favors for the kids! I was running out of time on the party planning so I actually purchased the 'Happy Birthday' banner and customized it with the name "Dominick". For favors for the kids again I went to my go to Amazon and found this whole lot of fun superhero things that I knew kids would love! I added them to a goodie bag and made a sticker label for them. fun favors such as these Lollipop Superheros and a craft for the kids would be these cool frames you can have everyone decorate! It was so fun putting these things together. My client topped it off with a wonderful Batman cake and everyone wore their favorite Superhero outfits!